Interested in a career as a professional home inspector? Inspection Certification Associates (ICA)’s home inspection training is the best way to receive the training you need to become a certified home inspector. ICA’s mission is to qualify people to become home inspectors through our online home inspection training courses. Steve Preins, our Director of Education, has been training both new and veteran home inspectors for more than 20 years. He’s also the recipient of several prestigious industry honors, including the American Society of Home Inspectors President’s Award. Under Steve’s leadership, ICA has become North America’s most trusted source of online Home Inspection Training and Certification. 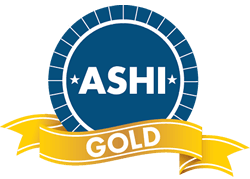 Our home inspection training course materials are always up to date, including the latest changes to certification and licensing requirements in your area. When you enroll to become a home inspector through ICA training, you’re taking the first step on your way to an exciting and rewarding career. You’ll receive all the instruction, guidance and support you need to start your own business as a professional residential and commercial property inspector. Once you’ve completed ICA’s online home inspection training, you’ll be qualified to perform more than just basic inspections. You’ll also be trained and certified to provide additional services, such as mold inspections and radon testing for both commercial and residential properties. The real estate market is booming, which means there are lots of opportunities for certified home inspectors. One example is the Department of Housing and Urban Development, or HUD. The inspection HUD requires for making FHA loans to homebuyers is limited to basic health and safety checks for hazardous or unsanitary conditions. Although the HUD doesn’t require a full home inspection, they strongly encourage FHA borrowers to pay for independent home inspections, such as those performed by graduates of ICA’s certified Home Inspection Program. As with the FHA, VA loans, which only veterans may apply for, don’t call for full home inspections. Most VA borrowers, however, choose to have the homes they’re buying professionally inspected, even though they aren’t required. As an ICA certified home inspector, you’ll be qualified to conduct independent inspections for both VA and FHA home buyers. ICA’s online Real Estate Inspection Certification Program is the most comprehensive and convenient home inspection schooling available. When you train with ICA, you work at your own pace using a PC, laptop, smartphone, tablet or similar digital device. All course materials are available online 24/7, which means you can study any time that’s convenient and anywhere there’s an Internet connection available. Shortly after completing ICA’s home inspector training, you’ll receive your certificate of completion by mail. Since our training includes a home inspection report template, you’ll be ready to begin your new career as a professional home inspector. Check our State Licensing page for any special home inspector licensing requirements in your area. 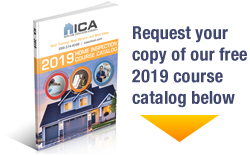 When you enroll in ICA’s home inspection classes, you’ll also receive the Report Form Pro 2 home inspection reporting software package from HomeInspectionForm.com. Compatible with both iOS and Android devices, Report Form Pro 2 works with desktops, laptops, smartphones and tablets. 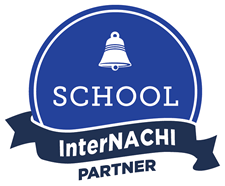 If purchased separately, the software would cost $400, but it’s free to ICA students. Because it’s included with our home inspection training courses, students can use it during training while conducting practice inspections. That means you’ll know how to use the software to generate inspection reports by the time you complete your training, letting you immediately embark on your new career. 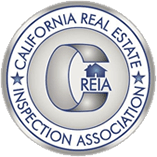 There are other home inspector training schools, but none can compare with Inspection Certification Associates’ Real Estate Inspection Certification Program. Other schools typically charge extra for additional for certifications such as mold and radon inspection training, but not ICA. Our training is all inclusive. 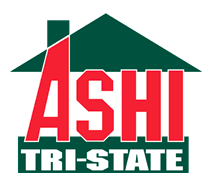 From footings and foundations to rafters and rooftops and everything in between, we cover it all. ICA students also have access to our online library with its huge collection of home inspection e-books and other reference materials. With ICA, all of this and more is included at one affordable price. That’s why when it comes to home inspection certification, our graduates agree that ICA offers the best training, best service and best value.